The Guardian, Financial Times, Telegraph and other papers cover a report by the CBI on the UK’s future immigration system. The papers report that the CBI has called for an end to immigration targets, with deputy director general Josh Hardie quoted as saying that “openness and control must not be presented as opposites” in the immigration debate. The papers report that the CBI has also called for the introduction of a system of compulsory registration for EU arrivals. The papers say that the system would require EU nationals to prove they are working or self-sufficient in order to remain in the UK for more than three months. A Government statement is carried widely. We are committed to bringing net migration down to sustainable levels – the tens of thousands. There is no consent in Britain for uncontrolled immigration. After we leave the EU we will end free movement and put in place a system which works in the best interests of the whole of the UK. 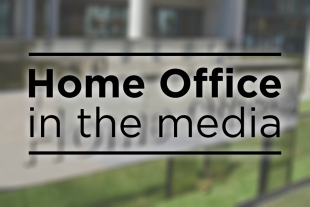 We are considering a range of options that will ensure we are in control of our borders and managing migration, while continuing to attract and retain people who come here to work and bring significant benefits. The Express reports on its campaign to have terrorist content removed from Facebook. The paper says the social media platform is still broadcasting videos of jihadis torturing and executing prisoners, despite them having been online for months. Some videos include Mohammed Emwazi, a British-born militant known as Jihadi John. The paper carries comments from former Conservative minister Mark Simmonds, now a senior adviser to the Counter Extremism Project, who says that the videos are “helping to promote the Islamic State” and that it is “astounding” that they were still on Facebook. A statement from the Security Minister on the issue is below. I have been clear that companies need to go further and faster to remove terrorist propaganda. There should be no safe spaces for terrorists to push their sickening and vile content online. While some progress has been made, including through technology that automatically detects and takes down content, terrorist material remains too easily available online. More needs to be done to remove this content as quickly as possible, and ultimately prevent it from being made available in the first place.